Our staff love to provide information to enhance your experience while staying with us. We have compiled information on this page on the upcoming events, as well as tourist attractions. 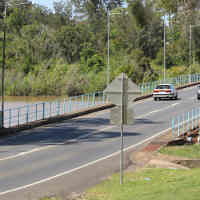 Information on Maryborough, surrounding towns and the Fraser Coast region is also available in our office. A wide variety of many exciting events are held on the Fraser Coast. Here is a list of some of the tourist attractions you may like to explore during your stay in Maryborough. The list is by no means complete, however is a great starter list of options available to you.